Patricio Guzmán’s The Battle of Chile captures the class war that culminated in Salvador Allende's overthrow 44 years ago today. The first segment of Patricio Guzmán’s three-part documentary The Battle of Chile ends with an attempted coup — the tanquetazo of June 29, 1973, when the most reactionary elements of the Chilean military used tanks to shell La Moneda, the national palace that had served as the headquarters of socialist president Salvador Allende since his election three years earlier. We watch the shelling through the lens of Argentine cameraman Leonardo Henrichsen. He stands impossibly close to the tanks and their shouting officers, filming from just paces away in the scampering newsreel style that gives Guzmán’s film so much of its anxious power. The camera maneuvers like a boxer. Henrichsen, the cameraman, seems torn between fight and flight. Hordes of civilians have fled the streets, leaving the tank commanders exposed on one of Santiago’s broad avenues — without the gravitas of a united military behind them, their rebellion is feeble, their actions undeniably criminal. Finally, one irate officer (since identified as Corporal Héctor Bustamante, who died awaiting trial in 2007) raises his pistol to fire directly at the camera — or rather, at Henrichsen, who holds it. At first there’s nothing, just a small plume of smoke escaping from the barrel. Then the camera spirals wildly, lurching upwards to face the sky as Henrichsen collapses, dead at thirty-three. The film — subtitled “The Insurrection of the Bourgeoisie” — ends with the crackle of gunfire and the rumble of retreating tanks. Patricio Guzmán is one of the most celebrated documentary filmmakers in the world. Since the late 1960s, he has produced brave and insightful portraits of his native Chile, training his camera on nearly half a century of dramatic social transformations — including the rise of Allende’s Popular Unity (UP) government; the reign of the dictator Augusto Pinochet and his elite allies; and finally, in recent years, the heavy legacy of genocide and forced disappearance in the Patagonian hinterlands. The Battle of Chile may be his best film — the film that makes all the others possible. Filmed in the months preceding the September 11 coup, it combines hundreds of on-the-street interviews with intimate footage from Chile’s political battlefields — street demonstrations, judicial proceedings, workers’ assemblies inside occupied factories, even fascist rallies where battalions of shock-troops strut in formation down public streets. Throughout, Guzmán appears frequently in the margins, thrusting his microphone at Chileans on the avenue and in the assembly hall, recording tirades and intimate anxieties alike. Guzmán’s documentary offers a rare glimpse at a revolutionary process in its most heightened period of crisis — dispossessed elites conspire to lay siege to the economy from within, emboldened workers seize factories and demand arms, and, throughout it all, the specter of a dissident military threatens the survival of one of history’s most promising socialist movements. It’s a harrowing story. But the film’s greatest strength may be its portrayal of Chilean workers. In nearly every scene, workers show themselves to be a powerful and transformative force — the people who make history rather than the people to whom history happens. In The Battle for Chile, we witness ordinary people at their best, using the organizational resources at their disposal to collectively make sense of a disorienting and high-stakes reality — and ultimately confronting both business and state elites in an effort to establish a radically new kind of society. Although the tanquetazo coup attempt ended in failure, it served as a rehearsal for the successful coup of September 11, 1973, when the Chilean military bombed La Moneda from the air and seized control of the government. By that evening, Allende lay dead in the rubble of his own office. In the days that followed, tens of thousands of workers and left-wing organizers were rounded up and incarcerated in makeshift concentration camps. Thousands were tortured and disappeared. Chile’s bold experiment with democratic socialism had come to a tragic end. It would take more than thirty-five years, half of them under the post-dictatorship governments, for workers and the poor to revive their movements and again begin challenging elite power. 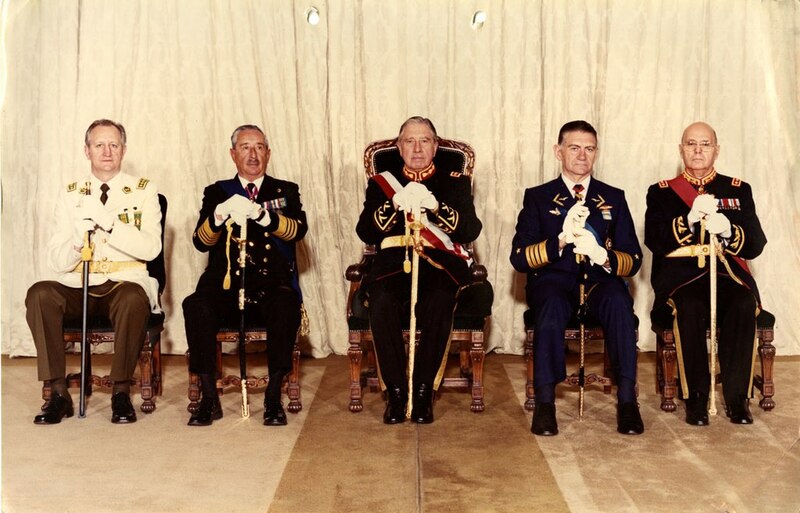 The Battle of Chile tells the story of the months leading up to the successful coup. When its first installment premiered in 1975, it could only be shown outside of Chile — primarily in Europe and North America, where the liberal media had treated the Allende administration with skepticism and occasional alarm. For many American viewers, Guzmán’s film was a counterweight, revealing the process of radical social transformation obscured by the mainstream story of state mismanagement and economic collapse. Allende had come to power on the crest of an unprecedented wave of self-activity from below, characterized by the swelling militancy of Chilean popular sectors. Workers, Allende’s most faithful support base, led mainly by the Communist Party (PC), had created strong unions that were independent of the state and had adopted a class struggle political strategy. Peasants had begun organizing independently in the late 1950s, and, encouraged by the land reform policy of Allende’s predecessor, threw themselves into the fight for agrarian democracy. Meanwhile, shanty-dwellers, expelled from the underdeveloped countryside only to find few opportunities for employment in town centers, broke with a political tradition characterized by clientelism and turned to direct actions and land invasions. Finally, a radicalizing student movement — conditioned by the 1967 school reform struggle — provided a broadening layer of support for anti-capitalist organizations and surging social movements. These forces converged around the rising tide of Allende’s presidential campaigns. After almost winning in 1958, Allende’s coalition lost to the single united candidacy of business in 1964. Six years later, with elites divided, the uncontainable wave of popular mobilization finally brought the Popular Unity (UP) alliance, led by the PC and the Socialist Party (PS), to power. The Popular Unity government enjoyed promising successes during its first year in power. Domestic production spiked in 1971, leading to a GDP growth rate of almost 9 percent. Unemployment fell from 7 percent to below 3 percent, and wages increased dramatically, particularly for the lowest earners. Allende’s land reform program — along with intensified popular attacks on large, unproductive landholdings — led to near record harvests and a new abundance of food for the poor. In July of that year, Allende won unanimous Congressional approval for expropriation of the country’s largest mines, and, though general nationalization plans were blocked, the number of large firms — many of which represented the economy’s “commanding heights” — incorporated into the ‘social sphere’ of production increased to over 100. The working class and popular sectors rewarded the UP’s achievements. In the March 1971 local elections, Allende’s coalition claimed a majority. The leftmost members of the center-right Christian Democratic Party (PDC) had joined with the president, and the Communists and Socialists alone garnered two-fifths of all ballots. By 1972, Allende was beset by challenges from outside, as elites came back together to undermine the government. He also faced opposition internally, as radical forces inside the UP and to its left were divided on key questions. Some, like the Left Revolutionary Movement (MIR) pushed for an acceleration of socialist transformation and a decisive showdown with business opposition, while those closer to the president advocated reaching an understanding with the Christian Democrats that allowed for political stabilization and the consolidation of gains. Around the middle of that year, the “Chilean Road to Socialism” reached a fork — one lane continued to follow electoral and institutionalized processes, while the other led towards a class struggle orientation in which mobilized working-class forces built up their positions in workplaces and the street. Guzmán’s film thrusts the viewer immediately into this political pressure-cooker. It begins with the decisive 1973 parliamentary elections, which the opposition hoped would demonstrate that a vast majority, including significant chunks of the working class, had abandoned Allende and that it was time to immediately roll back reforms and even depose the government. The tension is palpable in campaign scenes and on-the-street interviews. The privileged barely conceal their authoritarian sentiments, hysterically denouncing the ‘filthy communists.’ Meanwhile, organized workers punctuate their calls for class consciousness and defense of the UP by wishing “que se mueran los momios,” or “‘death to the ‘mummies’” (a popular term for the wealthy opposition, intended to lampoon their obsolescence and decrepitude). From this point forward, the White House and the opposition understand that the instruments of democracy are of no use to them. The votes won by the government coalition show that in Chile the desire for social change has not decreased, despite the millions of dollars invested by the North American government. After March, the strategy of the “democratic opposition” will be, paradoxically, the strategy of the coup. The film’s portrayal of the denouement, while predictable, is nonetheless invaluable for radicals. As an intransigent opposition blocks all parliamentary avenues for continued reform, direct action — the UP base’s sole recourse — places workers increasingly at odds with their partisan political leaders. Meanwhile, Allende and UP officials continue to push for legal reforms, but their bargaining leverage — class mobilization — provides an opening for right-wing forces to challenge the legality of their government. All this leads inevitably towards violent confrontation. How this volatile situation developed — and how ordinary Chileans responded to it — is the subject of Guzman’s film. As soon as it took office, Allende’s Popular Unity administration began to pursue its “Vuskovic Plan” — an economic program that formed the crux of the “Chilean Road to Socialism.” This plan combined Keynesian market interventions with strong redistributive measures, like the immediate nationalization of Chilean copper mining and other monopolized industries. Within Chile, the “Chileanization” of the copper industry enjoyed widespread support — in fact, Allende’s less-than-radical predecessor had already begun the process, initiating a gradual nationalization procedure that included lucrative buyouts for the proprietors of the mines. But the pace of reforms accelerated with Allende, and soon workers all over the country, emboldened by their new government, began to seize control of their workplaces and demand nationalization. The Vuskovic Plan fast became intolerable to Chilean elites. In response, ruling-class Chileans began waging a sustained campaign to disrupt the Chilean economy and discredit Allende, thus legitimating a right-wing intervention. Organized into powerful employers’ associations and strongly tied to opposition parties like the Christian Democrats, wealthy Chileans held their national economy hostage in an attempt to undermine Allende’s reforms. This economic destabilization took many forms. On one hand, Chilean business elites pursued a rank-and-file strategy among more conservative workers. Working through right-wing unions with ties to employers’ associations — and in collaboration with the American Institute for Free Labor Development (AIFLD), established by the AFL-CIO and funded by the US State Department — opposition forces were able to organize some labor actions, including a series of devastating transport strikes and a strike at the state-owned copper mine El Teniente. But as The Battle of Chile shows in vivid detail, in almost every case pro-government workers bitterly contested these actions, risking physical retaliation by continuing to work. On the other hand, Chilean elites also pursued a more top-down strategy in their effort to bring the economy to its knees. Objecting to government-mandated price controls and export restrictions, powerful business interests took to hoarding consumer essentials, secretly warehousing enormous quantities of basic goods only to let them spoil as avoidable food shortages rocked the nation. In response to this widespread hoarding, some Chilean workers took matters into their own hands. Local Councils for Provisions and Prices — known as “JAPs” for their Spanish acronym — responded to the food shortage by mounting a people’s offensive on hoarders. Through their local JAPs, community members identified persons or companies suspected of hoarding and then, in many cases, forcibly took possession of their illegally stored products to sell them at their proper, state-controlled prices. The successful organization of the JAPs was a tremendous accomplishment — a radical and democratic response to a potentially devastating ruling class offensive. Chilean capitalists were appalled to discover that their strategy for sowing division amongst Chilean workers in fact united them — if only temporarily — in a common class project. In one memorable scene from the film, opposition lawmaker (and future Pinochet collaborator) Gustavo Lorca interrogates a neighbor who is influential in the local JAP. Though he’s obviously out of place in the lavish parliamentary conference room, the JAP leader calmly explains his organization’s purpose — “The JAP is an organization of residents who come together and, by group decision, are given the power to determine if there are sufficient provisions in their neighborhood” — as Lorca becomes increasingly exasperated, eventually removing his glasses to somberly massage his temples. Despite legal challenges from the opposition, community leaders like Lorca’s neighbor were fortified by their faith in Allende’s government, and confident enough to take matters into their own hands when faced with crisis. Meanwhile, in Washington, President Nixon was making good on his promise to “make Chile’s economy scream.” He called for an end to all US assistance to the Allende government, and instructed US officials to use their “predominant position in international financial institutions to dry up the flow” of international credit to Chile. Working in tandem with international pressure, the opposition had succeeded in weakening the Chilean economy to a dangerous degree. Despite an impressive response from ordinary workers, the ruling class’s strategy was bearing fruit — the noose was tightening around the Vuskovic Plan, domestically and abroad. The intensifying economic crisis and deepening social polarization emboldened some of the most reactionary forces in the anti-Allende camp. Continued expropriations and factory takeovers — as well as the growing power of the JAPs — came to serve as justifications for increasingly extreme acts of right-wing terrorism, as the parliamentary opposition tacitly condoned anti-government violence by insisting upon the illegality of the government’s reforms. In one especially egregious example, assassins hidden inside the headquarters of the Christian Democrats fired upon a pro-UP demonstration, killing one worker and wounding six others. The scene is harrowing — silhouettes scurrying across the building’s rooftop as demonstrators huddle below; a smattering of gunfire; the whine of ambulances evacuating the injured from inside a crowd of outraged marchers. By July 1973, tensions had escalated to such a degree that Allende moved quickly in an attempt to prevent outright civil war, courting the moderate wing of the Christian Democrats in an effort to reach a bipartisan commitment to nonviolence. But it was too late. The Christian Democrats’ right wing — allied with the fascist Homeland and Freedom organization and key sections of the military — was growing in influence and audacity. Allende’s attempt at limited reconciliation was stymied, and on July 27, naval officer Arturo Araya Peeters, one of the few military figures who remained loyal to the government, was assassinated by other leaders of the armed forces. Speaking over footage from Peeter’s funeral, where the conspiring officers huddle to feign grief in their elaborate dress uniforms, Guzmán’s narration points out the obvious — preparations for the final coup have begun. These violent escalations — like the coup itself — were underpinned by an economic war of attrition waged by the Chilean ruling class on the UP government. Chilean business elites took advantage of their structural power to unilaterally impose a kind of forced austerity on their fellow citizens, suffocating the government while manufacturing an economic collapse. The strategic dilemma this posed for Allende and his allies — how to respond to capital’s counter-offensive from a built-in disadvantage — ultimately turned out to have no solution. But the challenge presented in such stark terms by the Chilean experience soon came to resonate with democratic socialist movements all over the world. The UP program called for eventually “capturing the entire power structure and building socialism.” For Allende and his allies, gaining control of the government was just one important victory on the way towards a bigger goal — transforming the fundamentals of the economy and the state by giving direct power to workers and the poor. Despite this lofty goal, however, the program did not call for replacing existing institutions with a workers’ state. Nevertheless, as the documentary shows, radical organs of popular power — what some Marxists have called “dual power” institutions — emerged parallel to the Chilean state as pragmatic solutions to business sabotage and opposition obstruction. Cordones industriales, or “industrial belts,” emerged in response to elite efforts to stop the production and distribution of goods in Chile. When a truckers strike nearly crippled the Chilean economy, these regional alliances of worker-controlled factories organized production and transportation of goods independently, while fighting off attacks from saboteurs. In so doing, they became one the most promising institutions of direct democracy in the country, joining a constellation of other self-governing workers’ institutions — such as the consejos campesinos (peasant councils that expropriated idle farms), neighborhood self-defense units, and the JAPs. But even as the cordones industriales and other workers’ institutions collided with ruling class power, they also clashed with Allende’s moderating efforts. Deeply committed to maintaining the legality of the revolutionary process, the UP government sought to slow the pace of radical democratic reforms at the grassroots in a misguided effort to avoid a putsch, or the outbreak of open civil war. In the end, this error proved fatal — an armed popular base, exercising direct control over its communities and workplaces, could have been an invaluable line of defense for the Allende administration, as well as for its broader goal of total societal transformation. In the weeks and months before September 11, 1973, ordinary workers came together in their organizations time and time again to do battle on two fronts — on one side, against the existential threat of the right-wing opposition; on the other, against the moderating influence of UP officials. The pace of popular mobilizations and demands had escaped the bounds of UP strategy. And instead of following the lead of this mass of radicalized citizens, Allende sought to rein them back in — undermining his popular army just when elites had converged around the coup. The rest of the story is well known. The base outstripped its government, and the government’s caution ultimately doomed its base to catastrophic defeat. The only social force that could have been capable of routing the putschists was left unarmed and under-supported, and the dream of a socialist Chile crumbled along with La Moneda. Luckily, Guzman was there with his camera to document this vital period of debate and discussion. In the film’s third installment, Popular Power, Guzmán does more than provide compelling evidence that alternative structures of governance and production are possible — he also reveals, in a limited sense, what forms they might take and what challenges they might encounter. This segment, perhaps even more than the others, provides vital lessons for working-class radicals. First, it shows that emancipatory dual institutions are not planned, legislated, or installed from above. They arise from the practical need to defend and expand reforms. Rather than following a blueprint, Chilean workers improvised institutions of their own design to meet immediate challenges and prevent the reimposition of elite power, like they did during the potentially devastating truckers’ strike in the fall of 1972. Secondly (and relatedly), the documentary shows beyond a shadow of a doubt that ordinary people are more than capable of making complex, high-stakes decisions directly and democratically. Even while still experimenting with various organizational forms, workers and the poor engaged in debates over how best to promote basic underlying principles like political and economic democracy, equality and social justice. The political level of these debates — as well as the simple elegance of the orators’ language — are enough to make today’s fancy academics blush. Third, Guzmán’s film offers a window into the workings of what Marxists call the bourgeois state, uncovering some of the constraints that bourgeois institutions impose on radical reform. In short, The Battle of Chile is an intimate portrait of class struggle at its highest levels, offering a glimpse at all its asymmetries and unpredictabilities, as well as its tremendous promise. Radicals owe an enormous debt to Patricio Guzmán. His extraordinary film remains one of the most important documents available to us as we organize within the constraints of our own disorienting reality in the continued struggle for a better world.